This entry was posted in Food Babe and tagged beauty, bht, debunked, food babe, general mills, healthy, kelloggs, science, skepticism, vani hari by Mark Aaron Alsip. Bookmark the permalink. You don’t know what you are talking about. How about you try doing some research? These are the ingredients directly from the manufacturer’s website and there’s no BHT! Sucrose, Prunus Amygdalus Dulcis (Sweet Almond) Oil, Prunus Armeniaca (Apricot) Kernel Oil, Simmondsia Chinenesis (Jojoba) Seed Oil, Oenothera Biennis (Evening Primrose) Oil, Passiflora Incarnata Seed Oil, Panax Ginseng Root Extract, Tocopherol, Helianthus Annuus (Sunflower) Seed Oil, Citrus Grandis (Grapefruit) Peel Oil, Citrus Medica Limonum (Lemon) Peel Oil, Citrus Aurantium Dulcis (Orange) Oil, Citrus Aurantium Bergamia (Bergamot) Fruit Oil, Citrus Medica Vulgaris Peel Oil, Litsea Cubeba Fruit Oil, Cymbopogon Schoenanthus Oil, Limonene, Citral, Linalool, Citronellol, Geraniol. 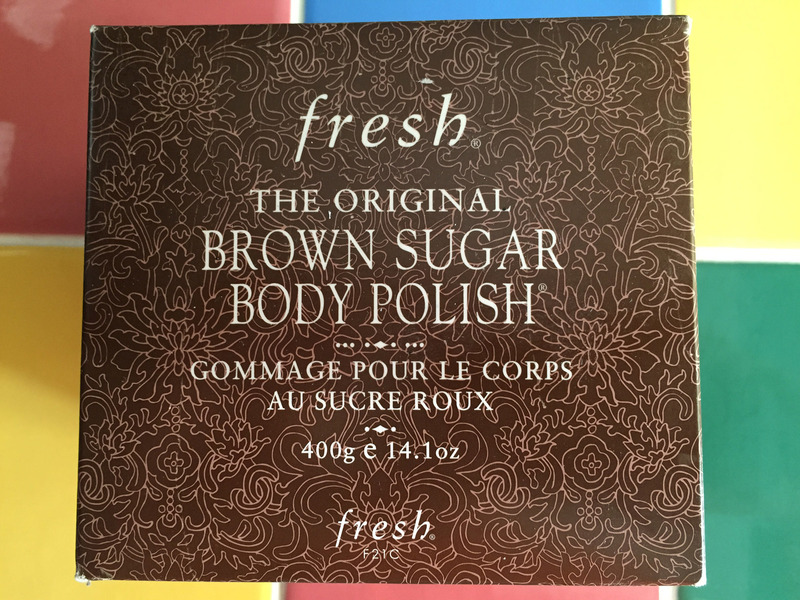 I purchased a jar of this body polish from FoodBabe.com and it DOES contain BHT. If she had actually been using the product as her web site claims, this would have been impossible for her to miss. I’m following the link provided by Food Babe, and the manufacturer is responsible for the product listing on Amazon, so I know exactly what I’m talking about. You’ll have to take this matter up with them I’m afraid. Links to everything cited in the article are provided in the references section. May I politely suggest you research this and get back to me please? Thank you. I’ll trust the manufacturer’s own website for ingredient information over an Amazon listing, thank you very much. This *IS* the manufacturer we’re speaking of. It is a different product than you’re showing me. Look at the labels. Food Babe IS NOT selling the product you are linking. Sara, thanks for reading and commenting. I actually purchased the product this morning and the label clearly says it contains BHT. I’ve updated the blog post you commented on. It contains photos of the box, receipt, ingredients label, etc. If you’re interested that information is now online. Additionally, Fresh sells nine other products that contain BHT, and this is according to their web site. I’ve linked to some of them in the article. I think their products are fine and they’re a reputable company. My complaint is simply that Vani Hari should not be calling out Kellogg’s and General Mills because they have BHT in their products when she’s affiliated with a company that openly sells the same thing. Here’s an Amazon link to the BHT-free equivalent product that Food Babe LLC is clearly NOT endorsing. Fresh.com sells at least 9 products that include BHT in their ingredient list per their website. I stopped checking after going through the bodycare line and the lip care line. Food Babe profits from a company that uses BHT in skin care and lip products. The only difference with General Mills and Kelloggs is that she doesn’t get a paycheck from them for promoting their products. Check it out for yourself. If you are concerned about ingesting BHT, you will be really upset about the lip care products at fresh.com and that there is no petition from Food Babe to remove BHT from their products. Amazing, really. Since you trust the manufacturer’s own website for ingredient information maybe you should read the disclaimer that they posted under the ingredients list. “DISCLAIMER: FRESH PRODUCT INGREDIENT LISTINGS ARE UPDATED PERIODICALLY. BEFORE USING A FRESH PRODUCT, PLEASE READ THE INGREDIENT LIST ON THE PACKAGING OF YOUR PRODUCT TO BE SURE THAT THE INGREDIENTS ARE APPROPRIATE FOR YOUR PERSONAL USE.” Or do you only look for what you WANT to see? 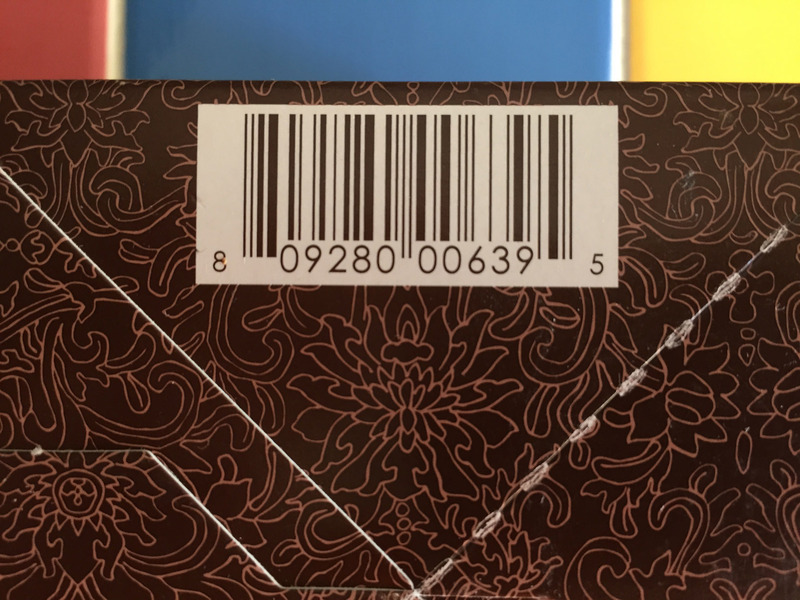 I received the product and the label shows BHT as an ingredient. Facts don’t require spin. The manufacturer’s website also has a disclaimer under the ingredients list that you seem to have neglected to read. It pretty much says something along the lines of ‘ingredients list is subject to change and updated periodically, check the product packaging to see the most up to date list’. That has nothing to do with the fact that “foodbabe” shills for anything that will pay her and is clearly getting paid to go against others. She did the same thing over christmas when she went after Starbucks but deleted every question on her page that asked why she wasn’t going after Duncan Donuts for using the same caramel she was freaking out about for Starbucks. Go ahead, go on over and politely post a question about why she goes after one name brand but not another (and if she is getting paid to ignore some) and see how fast you aren’t allowed to post on her page anymore. She’s in it for your cash and she’s a damn good snake oil salesman. Oh I know, I agree with you. I meant to reply to Sara but didn’t know how at the time. I should have clarified. I was one of the first people to post this on her page and fought her until she banned me. I brought this disclaimer up on her Twitter as well to show why she couldn’t just link to the product on the manufacturer’s site and say ‘see no BHT’. Again sorry. I can see how my comment might be misunderstood. Saying that Food Babe has double standards is giving her two too many. She knows nothing about science, but everything about shilling crap to the uneducated masses. Why would anyone devote this much time to discrediting a blogger unless they actually work for Kellogg’s or other such company? I don’t know for a fact, I’m just saying…if the shoe fits. The only reason I’m commenting here is because I’m sick of getting replies to my post on foodbabe.com with the url to this bogus website. 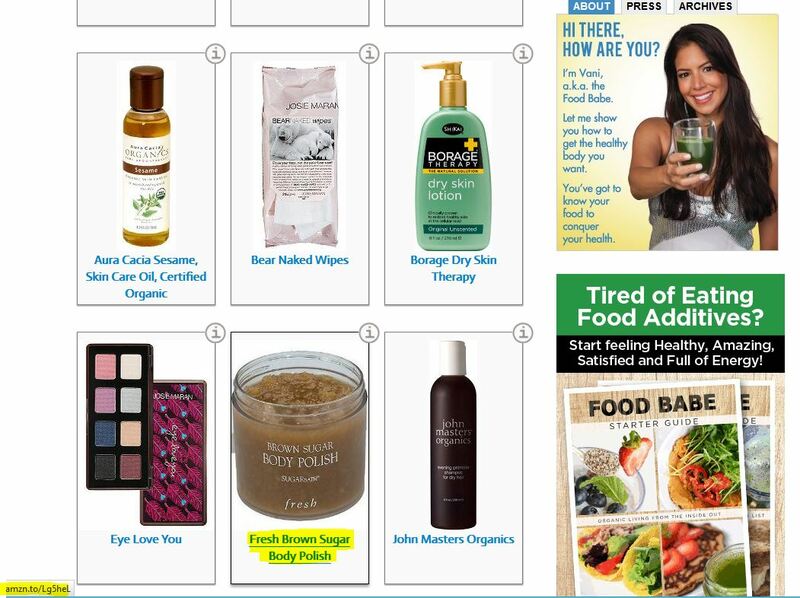 The sugar scrub in question is not even for sale in food babe’s shop. Even if it was, why would someone even spend money on a product containing BHT just to prove a point? It’s garbage and belongs in the trash. If I am wrong about your motives, please prove it by ceasing your attempts to have this url emailed to those who have posted comments on foodbabe.com by abusing the email notification system on replies. Because she’s doing great harm? To your wallet maybe? You’ve failed to explain what is so harmful about getting BHT, Aziodicarbonimide, artificial colors, and other such chemicals removed from the U.S. food supply. I don’t understand your comments about the wallet Tammy so I hope you’ll explain. But I’m absolutely amazed that you would defend Hari, who is selling products laced with BHT while attacking other companies for doing the same. This is not an isolated incident. If you’re interested in civil discussion, I can walk through the products on her shopping page and show you they contain the same ingredients she says are dangerous, using her own commentary. If you wish to ignore this, I don’t know what to say to you. As for the harm she’s doing, probably the most egregious is her anti-vaccine stance. How do you feel about the very real damage done by the unvaccinated to those in our society who can’t receive vaccines (those with compromised immune systems, those too young to receive them)? I didn’t say there’s anything harmful in removing BHT, azodicarbonimide, or coloring. There’s no proven benefit either. And, again, Hari is selling products that fail her same safety tests. Would you be willing to discuss all the Group 2B carcinogens in the products and recipes she sells? And do you not seem any harm in her taking peoples’ hard-earned money on the pretense of “doing good”? Again, if you are unable to look at the ingredients in what Food Babe is selling, then we’re at an impasse. And that is sad, because unlike Food Babe, I write my blog to communicate with people. BHT is actually used to prevent fats/oils from going rancid. It is actually an antioxidant. Yes that is true, Diana, but the Environmental Working Group lists it as a moderate hazard. It is a known immune toxicant in Europe and classified as expected to be harmful in Canada. I’m still waiting for a response as to how REMOVING BHT can hurt me. The way I see it, a safer ingredient could only add value to the product and reduce the risk of consuming an ingredient with unknown long-term consequences. That goes for skincare products as well, but I’d prefer to stay on topic since the petition is addressing General Mills and Kellogg’s. How is Vani’s petition harmful, and what harm can I personally expect if BHT is removed from U.S. cereal? Because she makes things up about other companies to damage their reputation and profit from it. Because she makes money from the public on lies. Because she sanitizes her social media and website when challenges are made so that she looks as if nothing negative can be said about her statements, leading otherwise innocent consumers to believe she is telling the truth. Why not ask HER why she spends so much time on that? Tammy, I’ve still got the affiliate link from Food Babe store. Screenshots as well. You just cannot stand that your following a charlatan. The reasonable response would have been to either admit the product she sold contained BHT or that BHT isn’t actually harmful. Instead, she used curse words in her initial denial, then lies, and ultimately tried to sweep it under the rug. So much for honesty and transparency. People are getting emails about this web page via foodbabe.com? Sounds like that is a foodbabe.com problem. Odd that they would send that out to those who are on that website…. No, I signed up to be notified by email if someone replies to my comment. The replies are being deleted (I assume due to the posting of outside URL’s), but the email is still generated. I believe the person doing this is abusing the email notification system. No one outside of foodbabe.com is controlling how that works. Also, the posts are deleted because the admin is deleting them. I am blocked from posting there because I asked 1 too many times why she has a campaign against class 4 carcinogens but has no problem promoting class 1. Want a screen shot of Vani Hari (from her personal account) stating the product she sells in her shop has no BHT? I can get it. She made it on reply to another poster in another facebook page. I have no vested interest in this one way or another. I’m not a food scientist, nor am I a Food Babe fan. But I did see for my own eyes that she has been deleting all comments on her facebook page where people as asking her to clarify why she is selling products that contain the very ingredients she warns people about. I’ve actually asked this on her page myself, and was then banned from commenting on her site. My question was removed as well… So to me as an outsider looking in, it would appear that she has something to hide. If it was a genuine mistake, then why not just admit to it? But then the same product that she was making a profit from, that I asked about on her site (that got me banned), was then removed. I’m not the only one who has been asking this. I don’t work for any big food companies. I’m just a stay at home mom. Indeed. And it’s in a mascara that she sells! Regarding her not selling the product – I am happy to share with you screen shots of her answering on her facebook page about how the product she sells contains no BHT, and on twitter as well (except she called it “BS” that the product she sells had BHT). If she took the link down from her shop, it is because she was caught in a lie. This is absolutely the last response I am leaving here, with the exception of a reply after my question is answered. I’m tired of getting the run around when all I want to know is how the removal of BHT will harm me. 1. If the person leading the petition is basing it on lies and personal gain, then how can you believe her statements regarding BHT to be true? 2. EFSA and the EU are very clear about the use of BHT in the food supply. It is approved. Why is that ignored? I choose to believe facts and avoid the petitions and demands of someone doing the exact same thing she is petitioning against (except she is also making a profit from sales of the product w/BHT). If you have no problem with her tactics, then no amount of logic can help to change that. The removal of BHT probably won’t harm you if you don’t mind increased food prices. I do. I also don’t try to make junk food more expensive for those who can’t afford it. I’d prefer to put my focus in helping people eat better food. Food Babe petitions junk food companies into removing harmless additives, which in turn makes people believe they will somehow be healthier. It harms people into believing something false, instead of looking to make real change to afford healthier food. If you can’t see how using lies to get what you want is harmless to the population on many fronts, there is nothing that anyone can say to change your mind. * harmful to the population. Can ‘t seem to edit that last remark. this is her affiliate link. http://www.amazon.com/gp/product/B000Z5Y4S4/ref=as_li_qf_sp_asin_il_tl?ie=UTF8&tag=foobab-20&linkCode=as2&camp=1789&creative=9325&creativeASIN=B000Z5Y4S4. Notice it says foodbab-20? Click on her other products and you will see the same thing. Proof that she sells it. I’m pretty sure she knows her name is not foobab. How many of you guys does it take here? Ok I’ve had my fun. Goodbye. Can’t explain to people what the internet addresses are like and how they work if they really don’t want to know. She still has the link to this product on her official Pinterest board of beauty products. Guess she forgot that one. Tammy, you say it’s not for sale on her site, but you do realize that she pulled it after this article was published, right? There are screen captures of her shopping page in the article, and she has admitted on Twitter and Facebook that she sells it. Also, I have no earthly idea what you’re talking about regarding the email. Can you please explain? Tammy, you seem to be under the misconception that this is against the removal of the chemical when it’s actually about a snake oil saleswoman profiting off of selling that chemical while she profits off of doing the show circuit demanding that other companies don’t. This is ALL about her hypocrisy in everything she does, and the money she makes off of it. She did the same thing over christmas with Starbucks but deleted any questions on why she wasn’t publicly calling out Duncan Donuts for using the same product. Why won’t she answer anyone on exactly who is paying her to target only certain companies? Why would anyone devote this much time to discrediting a blogger unless they actually work for Kellogg’s or other such company? The more likely theory is that he is motived, like many other people, to expose charlatans. Food Babe is all about generating hype to drive her affiliate sales. It’s a model commonly seen on the web today. Does she care about the 88,000 US deaths directly linked to alcohol consumption last year? No, but she is concerned about caramel coloring that has killed no one. Her hype is designed to fuel her narcissism and to get her credulous followers to blindly share her link bait and come to her defense with no more understanding of the issues than she has. Well said. I do wish I was getting paid by the “other side” of all the debunking I do. I would be rich many times over :-). BHA was evaluated under the Government of Canada’s Next link will take you to another Web site Chemicals Management Plan and was found to not present a risk at current levels of exposure. In 2002, the U.S. Cosmetic Ingredient Review Expert Panel (with the support of the U.S. Food and Drug Administration) reviewed BHT in cosmetic products and found that BHT is safe as currently used in cosmetics. In spite of that little meme that goes around FB claiming it’s been banned everywhere but the United States, that simply isn’t true. It is also approved for use by the European Union. Google is your friend. Just as long as you stay off of Mercola and other woo sites. Now, why do I want preservatives in my foods? So when I get a box of cereal home from the store, it hasn’t gone rancid. Too many times to count, I have gotten things like granola that had already gone bad in health food stores and they cost twice as much as what was in the grocery store. Also, I am of the school of thought that preservatives might be helping to preserve me. I’m in my mid 50s and people think I’m in my 30s. All the crunchies around here in their 40s look 60. Thanks, but I will take my preservatives keeping me looking good over fake fear from some bimbo who realized she could get rich quick off of idiots. Wow. So far, I am up to three products in Food Babe’s shop that contain at least one ingredient she recommends to avoid in her “Be a Drug Store Beauty Drop Out” post. 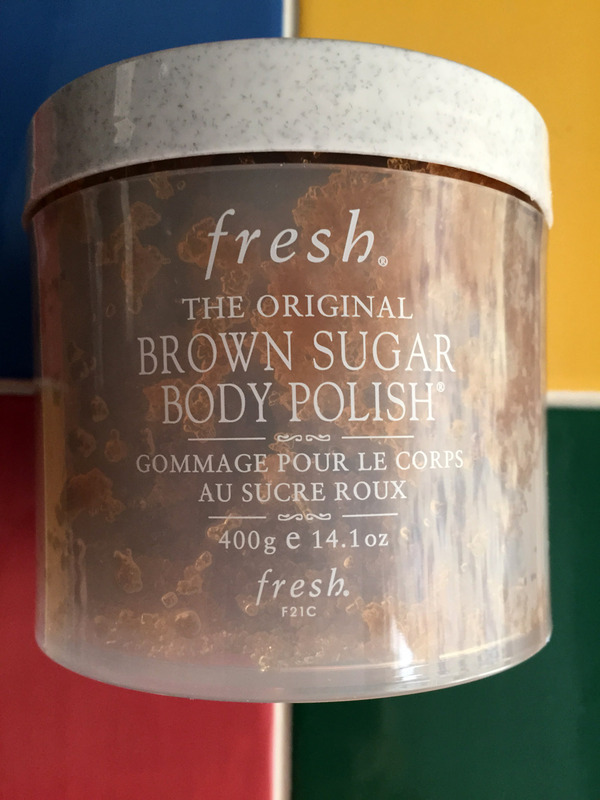 I really thought the sugar body scrub was an oversight. It could have been cleared up easily and quickly on her part, and yet it wasn’t. She continued to delete basic questions about it instead of actually following her very own link and checking out what a follower will see. She has no one to blame but herself for this blowing up. Nice work Mark. I was quite happy to see one of your food babe articles posted via Facebook by The Skeptics’ Guide to the Universe a couple of weeks back. Vani seems to be getting the exposure that she deserves. The fear of BHT goes back to my childhood. OMG, it’s used to make dynamite and is used in bombs and parents are feeding it to their kids! That was what was going on. Parents didn’t care that it was just being used to preserve explosives, to keep them from going off. It was something hideous and toxic and our stomachs were going to explode. Or something. But we were allowed to have BHA, because that wasn’t used in bombs. Once I got old enough and found out the scare was a bunch of bs, I started using products with BHT. All those cereals we weren’t allowed to have? Oh yeah, I consumed those all through my 20s. I don’t fear what is used to keep food from going bad. This is just a revival of the scare of the 60s. 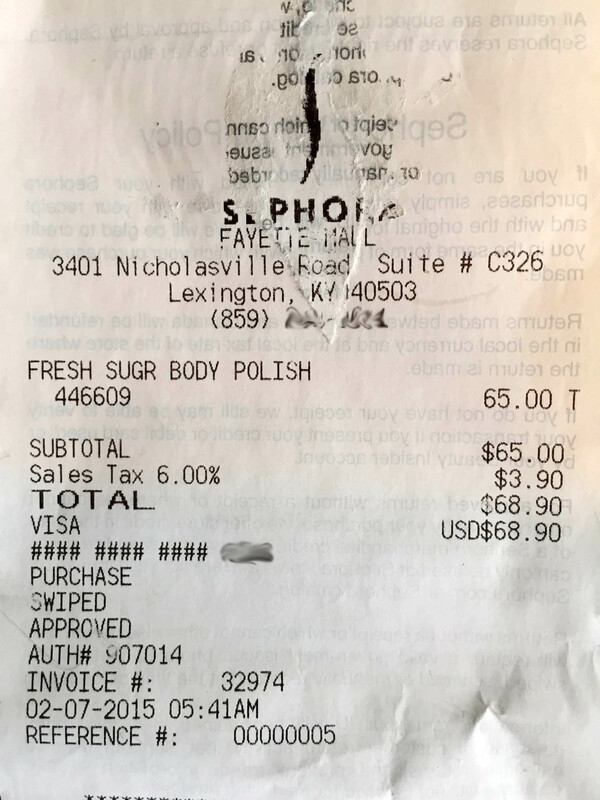 I can’t get over that you had to pay $65 to buy some sugar scrub. I think it’s horribly overpriced. After Food Babe publicly lied about the ingredients though (see the Tweet in the blog), I thought the purchase was necessary to maintain credibility. Pingback: Who Is the Food Babe? What's in Food? What Are Chemicals?